Lower Fuel Prices: Good for the Trucking Industry? If you’ve been to the fuel pump lately, you no doubt will have noticed the plummeting prices of gasoline and diesel fuel. For drivers of cars and trucks of all shapes, sizes, and purposes, this has meant getting a lot more out of a lot less money. But on the whole, what are the long-term effects this massive fuel price drop will have on the trucking industry? Read on to find out! According to data from the U.S. Energy Department, the trucking industry’s fourth quarter saw a whopping 14 percent drop in fuel prices. Diesel fuel is now averaging below three dollars a gallon, with further decreases expected in the coming weeks. Though these numbers mean that fuel is more affordable, does it follow that they will be good for the industry in the long run? When trucking companies and fleet owners have to devote less of their money to fueling their trucks, they can use that money on other important things: truck repairs, driver salaries, and additional vehicles. By increasing the amount of money that is spent within the industry itself (instead of being pumped out into the oil industry’s pockets), the opportunity for advancement and improvement in trucking increases as well! Also, with lower fuel prices in the picture, other businesses can return to trucking as their main resource for transport and shipping without breaking the bank. 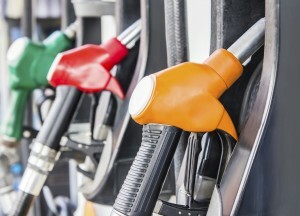 For the foreseeable future, it looks like fleet owners will be benefiting from lower fuel prices! If you’re in the trucking business or are looking to expand your business through trucking, call on Baltimore Freightliner-Western Star to take care of your trucking needs. You can call toll-free at 800-832-7278 or locally at 410-685-4474. You can also shoot us an email with your questions or concerns at info@baltimorefreightliner.com. Since 1986, Baltimore Freightliner-Western Star has provided top quality service for the trucking industry. Whether you need to purchase specialized truck parts from our expansive inventory, expand your fleet with our selection of top-tier trucks, or have your company’s trucks serviced or repaired, Baltimore Freightliner-Western Star is the best choice in trucking. Become one of our many satisfied customers today! Be sure to follow us on Google+ and find us on Facebook to stay up-to-date on all the latest from Baltimore Freightliner-Western Star. Follow us on Twitter too: @bmorefreight. Fleet owners know that no matter what kind of tasks their trucks perform, daily wear and tear is bound to take a toll on them after a while. But this does not necessarily mean that you have to turn around and replace all the trucks in your fleet altogether; you simply need a solution that will get your current trucks back to their best condition. So what is the best way to restore your trucks and have them running like new again? 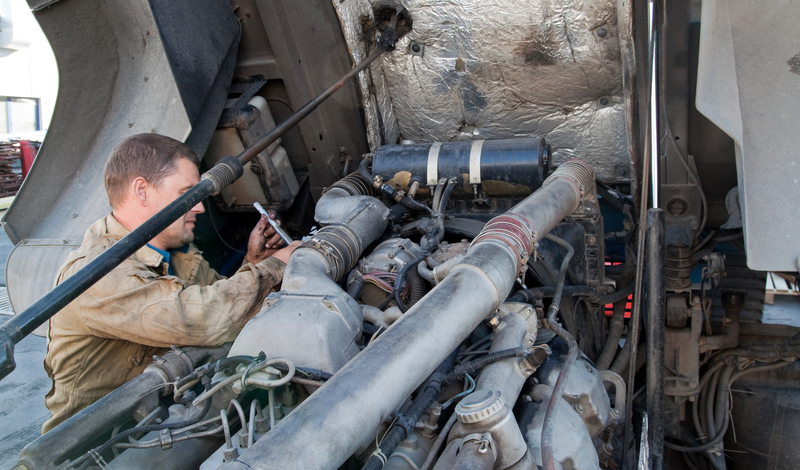 Read on to find out more about the best truck repair services in Baltimore! …cosmetic damages. Scrapes, scratches, dents, and gouges may not affect the performance capabilities of your truck, but they do need to be addressed. A battered-looking truck will not be good for your business’s image, which could end up hurting your profitability. Truck repair services for cosmetic damages address these superficial problems – and the body shop team has exceptional paint-matching skills so every repair is a seamless one! …accident damages. Trucks get involved in on-the-road accidents just as cars do, and the damages caused by them can be difficult to contend with. 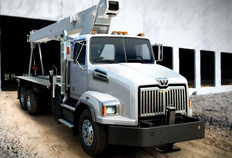 Luckily, the truck repair experts from Baltimore Freightliner-Western Star can fix any external and internal issues caused by an accident. If the damages done are involved in an insurance claim, our team is well-equipped to handle the unique needs of such circumstances! Though many may look forward to the brand new year as an opportunity for new successes, those in the trucking industry would agree that 2014’s successes were nothing to sneeze at. The entire year saw significant growth in sales figures, exciting technological innovations, and advancements in safety features, making it one of the best times to be involved in the industry. And to cap it all off, an exceptionally impressive December saw a surge in Class 8 sales. Read on to find out more! Class 8 truck sales were outstanding in the final month of 2014; a 38% jump in orders made for a total of 43,900 units sold. Added to the rest of sales for the year, the trucking industry saw a grand total of 380,030 orders made this year. This is the second-highest total sales on record, with just about 10,000 units more sold in 2004 pushing that year to the first place position. The 2014 figures are viewed not only as impressive in their own right, but as promising for the coming year. What Will 2015 Bring the Trucking Industry? Coming off of such a successful year has many in the industry optimistic for 2015. Sales figures of Class 8 trucks, as well as other models, could certainly keep growing as fleet owners and others seek to expand and improve their individual businesses. The recent drop in oil prices, too, could have an effect on the number of Class 8 trucks sold in the upcoming year. Though we will have to wait and see exactly what happens, the prognosis seems positive for the nation’s trucking industry! Which Sprinter Van is Right for My Fleet? With their reliability, durability, and high-quality designs, it comes as no surprise that Sprinter Vans are among the most sought-after vehicles by fleet owners. But no single van will serve every imaginable purpose; you need to discover which model will meet your needs best! Here to help you through that decision making process are the experts from Baltimore Freightliner-Western Star. Read on to find out more! –Do you need a large amount of cargo space? Some vans need to serve primarily as transport for heavy equipment or shipments. In such cases, a Sprinter Cargo Van is likely your best bet: over 300 cubic feet of cargo volume! –Do people as well as equipment need to make it to your destination? Sometimes, transporting your equipment is not enough; you need a team on hand to then use the equipment in whatever the required action is. For this, a Sprinter Crew Van with both seating and cargo capacity will be the ideal choice. –Do you need to transport people only? If you are not involved in the cargo/shipping business, your van may need to serve primarily as transportation for people. A Sprinter Passenger Van, with enough seating for 12, is the right choice for you! –Do you need to transport many people at once? If the lower capacity of a Passenger Van won’t cut it, try a Sprinter Minibus instead! Ideal for airports and hotels that need commuter shuttles, a Minibus can fit up to 18 people at once. Interested in adding a Sprinter Van to your fleet? Get in touch today! Make New Heavy-Duty Trucks Your New Year’s Resolution! This week, the world rang in 2015 in style, welcoming the second half of the decade with fireworks and celebrations. Once the parties started to die down, however, many people turned to their list of New Year’s resolutions and set about planning how to achieve them. If you are a fleet owner, then your resolutions probably had something to do with making your fleet more successful in the coming year. One way to go about doing this? By introducing a brand new heavy-duty truck from Baltimore Freightliner-Western Star to the mix! Read on to find out more. Fleet owners know that the best way to ensure their business is a successful one is by equipping themselves with the latest, most up-to-date truck models available. These new models have technology and features that older ones simply do not, meaning that they will give you the advantage you need over others in the trucking industry. Baltimore Freightliner-Western star is home to two of the top brands in the industry, and a new model from either is guaranteed to suit your needs and give you the performance you expect from a quality new heavy-duty truck. Freightliner trucks have established their reputation as durable, dependable vehicles with all of the latest technological advances. Western Star trucks are built to stand up to the heavy wear and tear of many vocational industries, making them one of the toughest brands in the business. No matter what type of new heavy-duty truck you need to meet your New Year’s resolution for a successful year, Baltimore Freightliner-Western Star will help you find your perfect match.